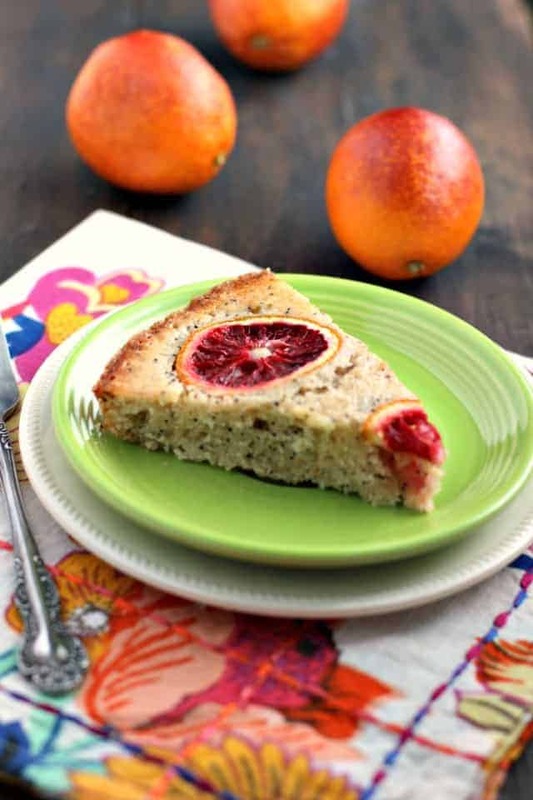 Home » Desserts » Blood Orange Poppy Seed Cake (Vegan). 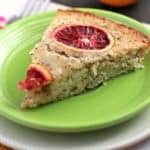 Blood orange poppy seed cake is a tasty and beautiful dessert that’s sure to please your guests! 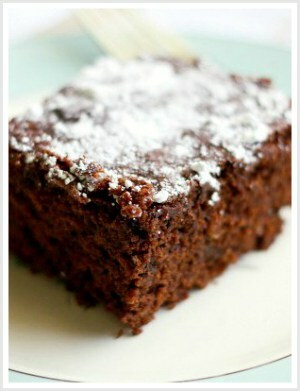 This is a lovely dessert to make in the winter months. Are you as fascinated with blood oranges as I am? They’re just so beautiful with their deep red hue, and the sweet/tart flavor is so nice. I love to make fresh squeezed blood orange juice at this time of year. You can’t find a prettier glass of juice! Fun fact: when blood oranges were first discovered in China, there were some pretty crazy accusations flying around – people thought the trees were poisoned, or that the oranges were actually injected with blood. Yikes. Thankfully it was just a spontaneous genetic mutation. Are blood oranges healthier than regular oranges? All oranges have a good dose of vitamin C, but because of their deep crimson hue, blood oranges have higher amounts of antioxidants. They’re a nice addition to smoothies, desserts, or just plain! We love citrus poppy seed breads and cakes in our family, so I thought I’d try to make a blood orange poppy seed cake. It was delicious – the cake had a nice bright citrus flavor, and the orange slices on top add a pop of ruby red color. Blood oranges are sweet and tart, and have a little bit of a berry flavor to them. The flavor of a blood orange is more intense than that of a regular orange. If I can’t have poppy seeds, what should I use instead in this cake recipe? You could use chia seeds if you wish, or just go ahead and leave all seeds out. The cake will still be delicious! Can I make this cake in a different type of pan? Yes, you can make this cake in an 8-inch square or round pan. You could also try cupcakes – but the baking time will be less. Try 18-22 minutes for cupcakes. 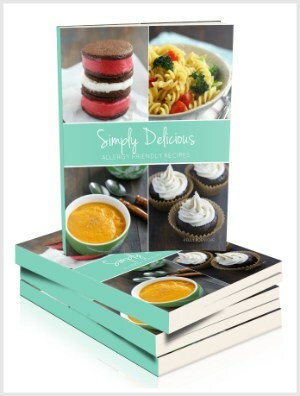 Orange poppy seed cupcakes would be delicious frosted with dairy free buttercream frosting. 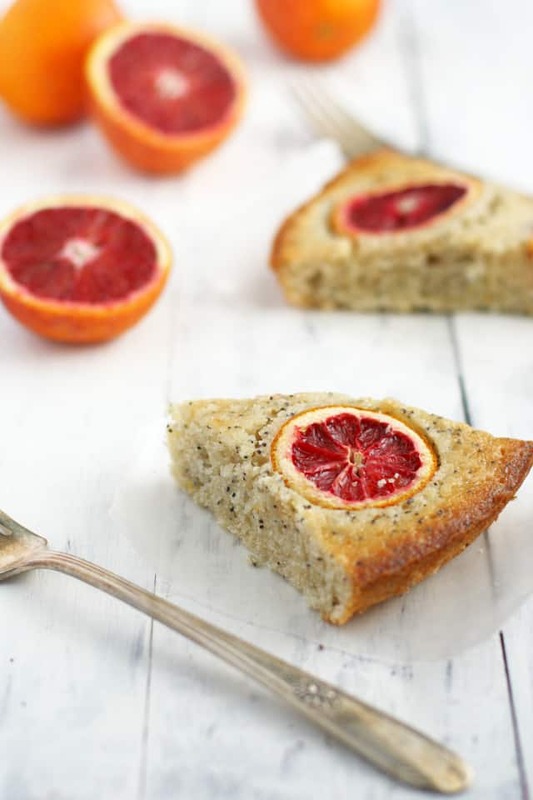 Blood Orange Poppy Seed Cake. 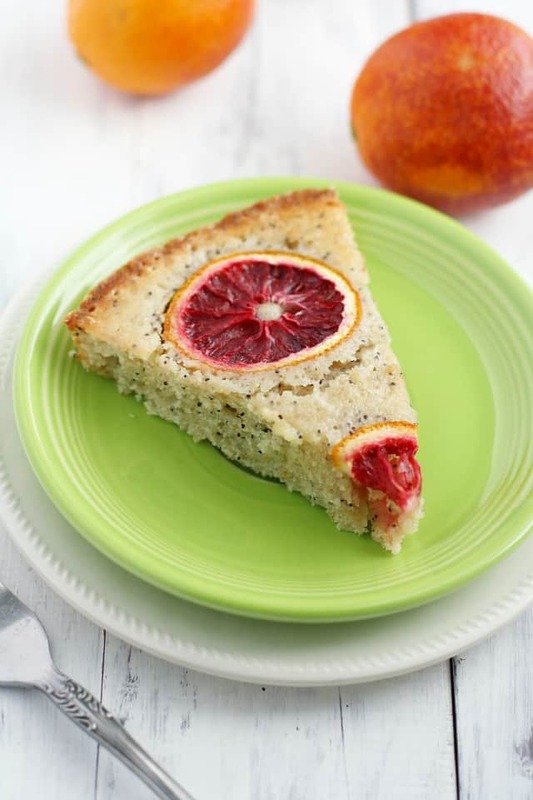 A fun twist on a classic recipe - this blood orange poppy seed cake has a bright citrus flavor! Whisk the spelt flour, sugar, baking powder, salt, orange zest, and poppy seeds together in a large bowl. Add the canola oil, blood orange juice, and water and mix until blended. If you can't have poppy seeds, go ahead and leave them out. 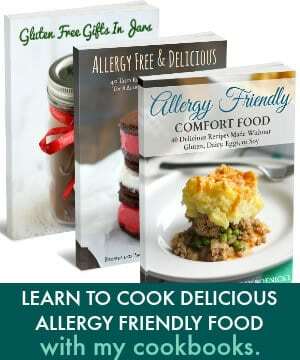 I have not made this recipe with gluten free flour, so I'm not sure how well it will work. This post was originally published in February 2015. 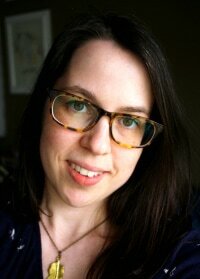 It has been updated with new photos and tips. « Superfood Chia Seed Parfait. I am a complete disaster when it comes to baking. I am not vegan nor allergic but I was actually looking for a simple dessert recipe that had a few ingredients so I thought I’d try this one. It was so simple, pretty and yummy! Sorry your cake got stuck! Next time you could try putting a circle of parchment paper down and then greasing that. If your pan isn’t non-stick, that should help. made it with coconut sugar (powder) and slightly undercooked the cake, and was really taste!!! did the same with the lemon cake, eveyone adores it at home! finally a vegan cake without cacao. Can you eat the peels on the blood oranges that are baked into the top of the cake? Thanks, Kelly. I thought that baking them (and since they are embedded in the top of the cake), they might be edible, unlike with raw oranges. Even if they were, I agree with you about not eating the outside of non-organic produce, and I have not found organic blood oranges, that often. I don’t use canola oil, any substitutions? Vegetable oil or refined coconut oil should work just fine! This cake is so pretty! Love the colors of the blood orange! Thank you, Katie! How did the orange blood oranges taste? I had no clue that blood oranges came from China! They add such a wonderful pop to this cake! What a gorgeous cake, Kelly! I’ve never tried blood oranges before, so I need to get on that asap. Sounds delish! It seems as though we both had poppy seeds on the mind! I like the addition of blood oranges…can’t get enough of em either! We certainly did! Your bread looks so delicious, too, Caitlin! Blood oranges beat normal oranges! Oh my … this looks and sounds positively delish! I too adore blood oranges! This cake looks delicious and beautiful! Wish I had some right now! You should try it! It’s easy to make! Haha! I didn’t know that about the Chinese…that’s funny. Those cheeky little blood oranges, causing all the confusion…. This cake looks ah-maaaay-zing!! 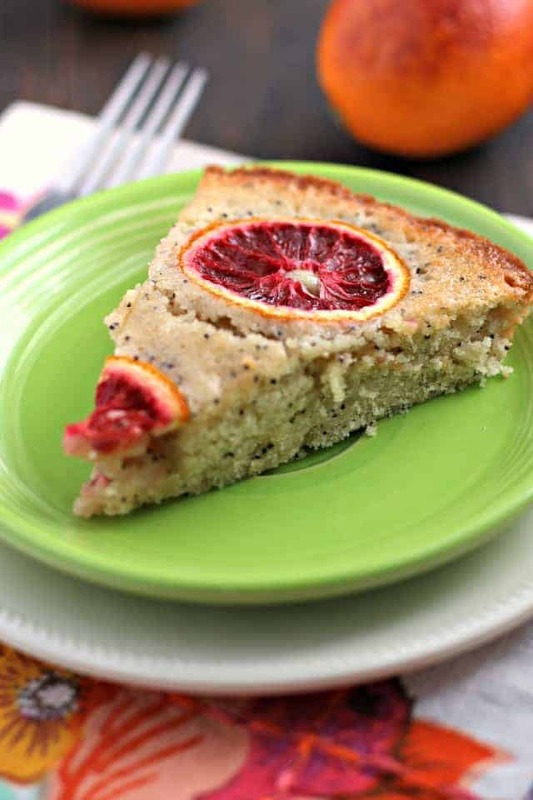 I love the citrus/poppy seed combo too and would love a hunk of this for breakfast! !